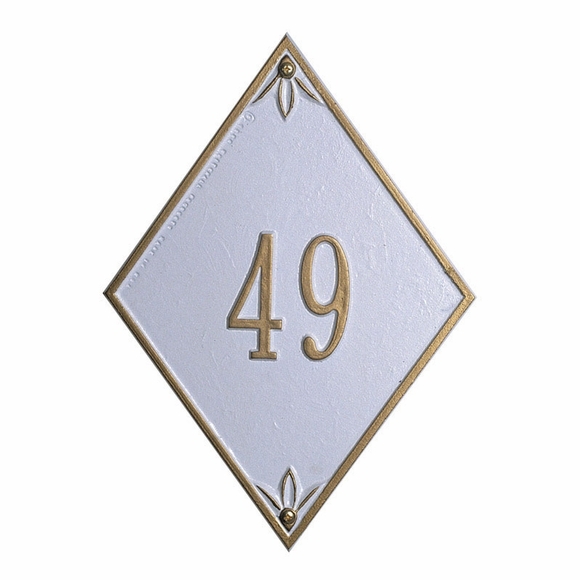 Diamond Shape Personalized House Number Plaque - - minimalist house number sign in an unexpected shape. Made in USA. Wall mount address plaque is made to order in your choice of color combinations and holds one line of personalization. Fits two 4.5" or four 3" characters. Border trim and floral line drawings match the color of the characters. Personalized one-line house diamond shape number address sign. Made in USA.